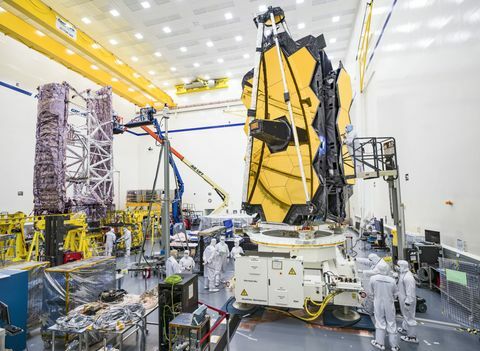 REDONDO BEACH, Calif. – April 14, 2015 – Northrop Grumman Corporation (NYSE:NOC) reached another major milestone for NASA's James Webb Space Telescope this week, with the delivery of the Deployable Tower Assembly (DTA). 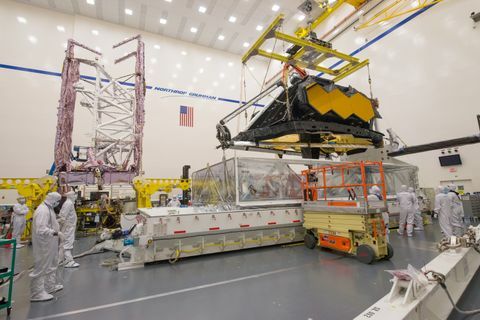 Following successful ambient and thermal vacuum testing, the DTA was delivered to Northrop Grumman's Space Park facility, where the Webb Telescope is being assembled. The graphite DTA was designed, built and tested by Astro Aerospace, a Northrop Grumman company. NASA's James Webb Space Telescope is made up of four major components — the telescope, the integrated science instrument module, the sunshield and the spacecraft. The DTA interfaces and supports the spacecraft and the telescope structures, and serves two key functions on Webb. "First, in the stowed configuration, the DTA allows the telescope and instruments to fit into the rocket fairing with an acceptable center of gravity for launch. Second, in the deployed configuration, it will lift the telescope mirrors and instruments away from the heat of the main spacecraft. This allows the sunshield to unfurl, reducing the amount of radiant heat the instruments are exposed to on orbit," said Ken Aiello, Astro Aerospace cost account manager for Webb and program manager of the DTA. Webb's DTA features two large diameter telescoping tubes, separated by a mechanized lead screw. The majority of the DTA is constructed of graphite components to ensure stability and strength with extreme changes in cryogenic temperature. When fully deployed, the DTA reaches ten feet in length. 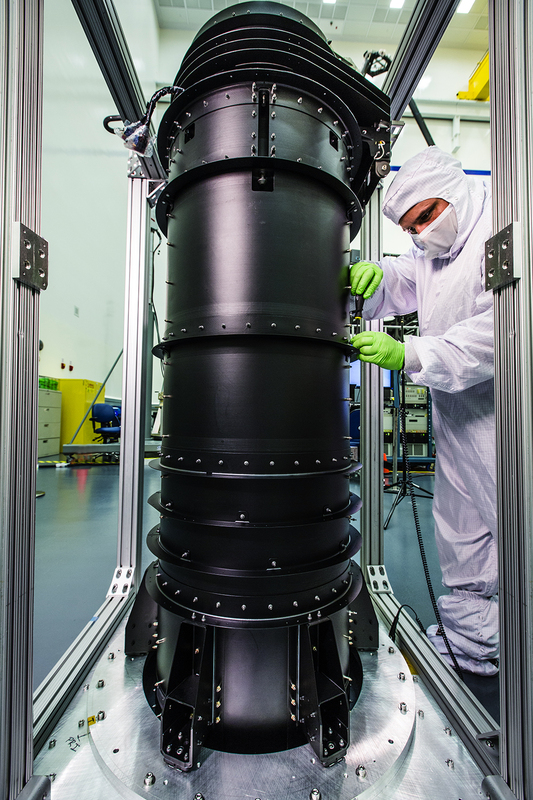 "The Astro DTA team expertly completed this complex project, which required a deployable structure that is both very light and extremely strong and stable," said Scott Texter, Webb optical telescope element manager, Northrop Grumman. The James Webb Space Telescope is the world's next-generation space observatory and successor to the Hubble Space Telescope. The most powerful space telescope ever built, the Webb Telescope will observe the most distant objects in the universe, provide images of the first galaxies formed and see unexplored planets around distant stars. The Webb Telescope is a joint project of NASA, the European Space Agency and the Canadian Space Agency. 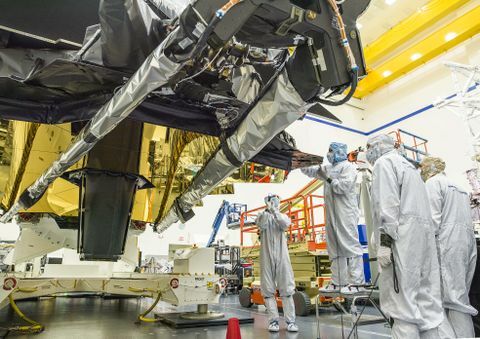 Northrop Grumman is under contract to NASA's Goddard Space Flight Center in Greenbelt, Maryland, for the design and development of the Webb Telescope's optics, sunshield and spacecraft. For more information, visit www.jwst.nasa.gov .